I was once on College Confidential’s message boards when I came across a post from a teenager lamenting that her parents didn’t have the money to give her the $50 she needed for a college application. It broke my heart to realize that some families are really so cash-strapped that they can’t even afford college application fees, let alone college tuition. But going to college can often be the best shot that many poor kids have for opportunity and a better chance in life. So when I think about how many students must be in that teen girl’s same position, it’s really distressing — and it should bother all of us. No matter what your family income, college applications aren’t cheap — especially if you’re filling out numerous applications, as most students do during college application season. According to a recent survey from U.S. News, the average application fee that 1,229 ranked institutions provided was $38.79, the highest it’s been in six years. For the top 28 schools with the priciest applications, the average application fee was $77 — twice the national average. Most competitive schools charge students $50 and above to submit an application. Accountant Ed Fulbright remembers when his daughter — who is now a student at the University of North Carolina at Chapel Hill — was applying to multiple schools. All joking aside, let’s say you apply to 10 schools (not uncommon these days) and the average cost of each application is $50. Bam! There goes $500, yet another hit to the family budget as you deal with ever-rising college costs. That money is spent just to give you (or your child) a shot at getting into college. Since the admission process is fraught with uncertainty — thanks to a host of school variables and a slew of subjective factors — your application to any one particular college is rarely a sure bet. In most cases, no one can say with 100% confidence that you’ll get accepted into any specific four-year school. 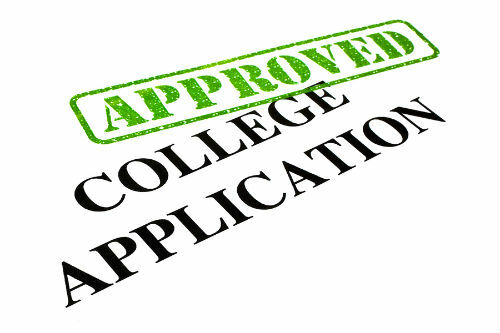 Nevertheless, college application fees are almost universally non-refundable fees. What’s more, even though you might submit 10 applications, in reality you can only attend one school at a time. For all these reasons, it’s important to know the eight different ways students can get college application fee waivers. A college application fee waiver will let you apply at no cost to the college of your choice, keeping money in your bank account and lowering your pre-college expenses. 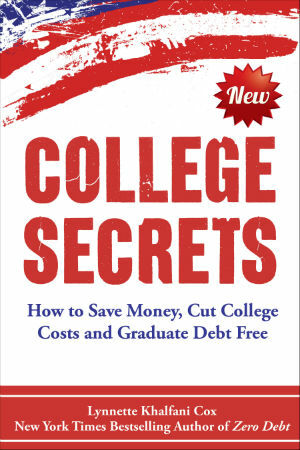 In my book, College Secrets for Teens, I explain each one of these strategies in detail, and how they can help you to save hundreds of dollars in college application costs. In this article, however, I’ll describe just one of the key ways you can get a fee waiver – because you need one financially. If you need a waiver to submit a college application, you can get one from one of three sources: the NACAC, the College Board (which administers the SAT), and the college or university where you want to apply. NACAC and SAT application waivers are only available for U.S. citizens. The same is true for most institutional waivers, though international students should check with their target schools to confirm their individual rules and policies. Regardless of which entity provides the fee waiver — the NACAC, the College Board or a specific post-secondary school — the most common way to get a waiver for a college application is to qualify for one based on economic need. You can use a number of methods to prove that you have a genuine economic need for an application fee waiver. One such way that colleges determine economic need is simply based on your household income. In general, you may qualify for an application fee waiver if your annual household income is about $45,000 or so, assuming a family of four. However, qualifying income levels can be more or less than that figure, depending on the number of people in your household. Other income-related qualifications will get you waivers too — such as qualifying for free or reduced lunch. You can obtain a NACAC fee waiver, called a “Request for Waiver of College Application Fee” form, from your high school counselor. Likewise, if you were eligible for a fee waiver for the SAT or SAT Subject Tests, you can ask your high school counselor to give you up to four fee waivers for your college applications. You simply fill out the top portion of either form (the NACAC waiver or the SAT fee waiver), have a high school counselor or other third party sign it, then turn in the form along with your college application. This way, you need not send in an application fee. Note two specific points about the first circumstance described, and the last scenario. For the first situation, realize that you may have taken the SAT or ACT but not actually received a waiver for test fees. That doesn’t mean you can’t get a College Board/SAT college application fee waiver. Colleges only require that you be eligible for an SAT waiver — not that you actually use a waiver. For the last scenario, be aware that a high school principal, school counselor, financial aid officer, or community leader must not only sign the form, but must also briefly explain your individual extenuating circumstances. Also, in all the circumstances listed above, a signature from a third party is mandatory to use a fee waiver from NACAC. If your school doesn’t have NACAC waiver forms, you can obtain a fee waiver form from the NACAC website. The process for using a fee waiver is pretty easy if you are filling out college applications online. Once you get to the “Payment” section, which comes right before you submit your application, just indicate that you are using a waiver. That will allow your web-based college application to be accepted and processed. Most two- and four-year colleges (about 80% of them) do honor fee waivers granted by both the College Board and NACAC. You can find an online list of schools that accept SAT application fee waivers at the SAT Fee Waiver Directory of Colleges. The NACAC does not maintain a directory of colleges that accept its waiver request form. Getting a fee waiver is a great way to save money during the college application process. So be sure to seek one if you qualify. For lots more tips on getting college application fee waivers, check out a copy of College Secrets for Teens. what does it means chances to avail tuition fee waivers in the courses?